Developed by Mr. Lloyd Lee of Alberta. Lee 21 is considered by some to be the best of the Lee's. 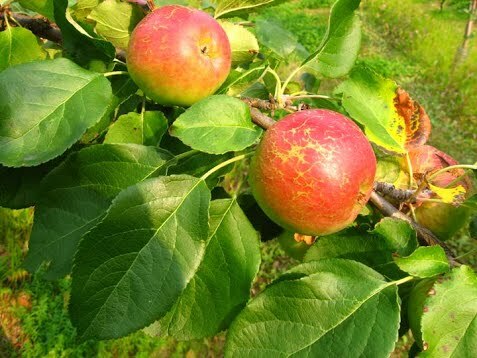 It is a good crisp sweet apple, good for eating out of hand, and grows to 2.5" in diameter. It was reported (not sure if report came from Anchorage or Fbks) to be later than most others to leaf out and also late to set terminal buds in the fall. In the Matsu Farm Loop Rd area, reported to ripen around the same time as Carroll or Mantet in first two weeks of September, before Lee 17 by a week.